Barbie has been given the Kate Middleton treatment in time for Christmas, as British milliner Stephen Jones designs the ultimate party wardrobe. 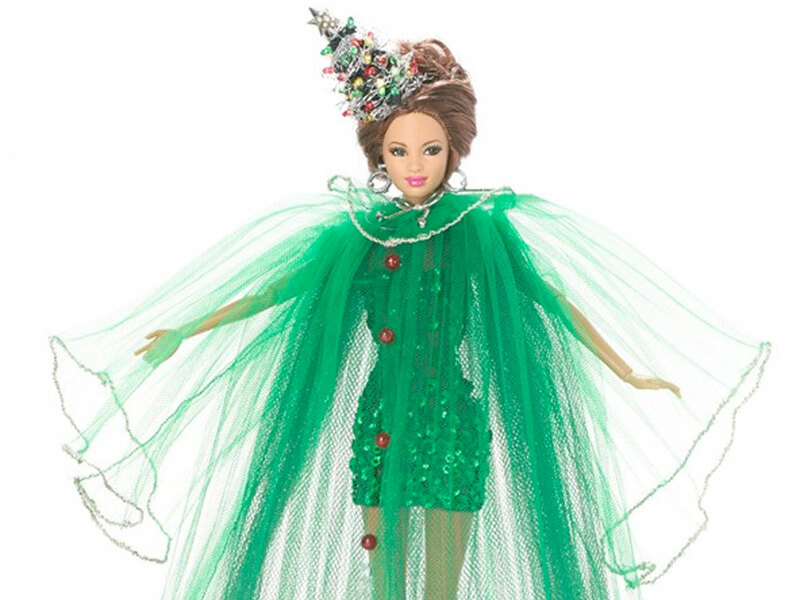 The latest fashion figure to design for the iconic doll, Stephen Jones has created five Christmas-ready outfits for Barbie. A complete contrast to the barely-there beauty we saw recently, Barbie is back to her uber-glam best in the statement ensembles. Talking in more detail about the playful collaboration, he adds: ‘The fabrics have to have a lot of thought for example velvet on a human being looks luxurious, but on a Barbie it looks like fake fur. As well as Holly Surprise Barbie, the new dolls include Toffee Ice Barbie, Santa Baby Barbie, Snowglobes Barbie and Christmas Treet Barbie – whose headpiece lights up with battery power. Not her first custom designer collection, Barbie already boasts pieces from Burberry, Chanel, Louis Vuitton and Prada. 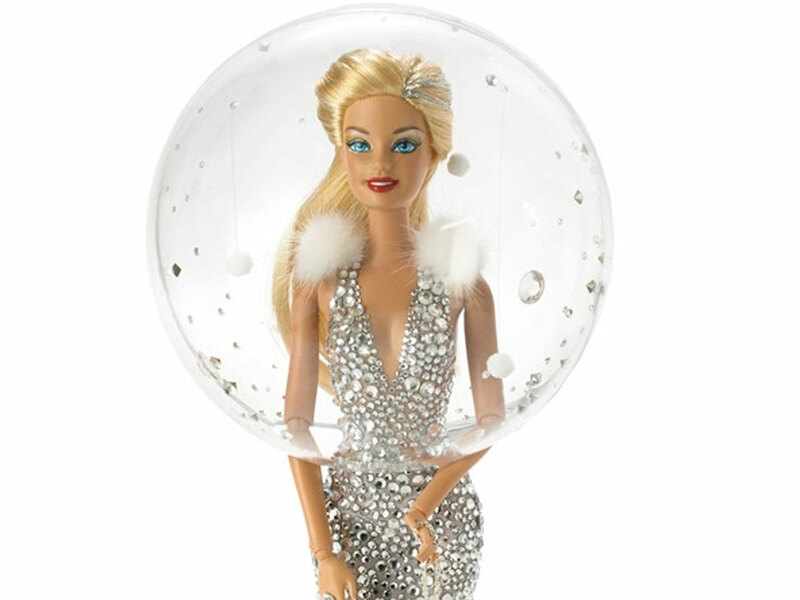 The new festive dolls launch at Selfridges new London’s Toy Shop on Friday 15 November, each costing £250.